Much has been made throughout 2011 and 2012 of the dangers of phone hacking. While many of the victims of the practice – in this case sponsored by major news organizations – were celebrities, politicians and sportsmen, many more were real, regular people who may or may not have been involved with slightly more famous people, one way or another. In the UK, USA and Australia, investigations are ongoing into these practices, but let’s step back a moment. You might have read with interest (perhaps even glee) about these cases, but what if it happened to you? Would you like to be a phone hacking victim? The vast majority of those hacked had no idea how reporters knew so much about them. There is a simple reason for this – they didn’t know that their cell phone voicemail was not secured. Upon spending several hundred dollars on phones, they had like many other people assumed that the device was secure. Forget about the “I’ve got nothing to hide” mantra – you do. Social security numbers, bank account numbers, credit cards, insurance, mortgages… and that’s just a small aspect of the financial side of your life. We all have something to hide, and with good reason. As we’ve seen in the newspapers and TV news reports, there is no doubt that this information can be filtered out of mobile phone voicemail messages, which is why you should keep your voicemail secure. Phone hackers were able to get into voicemail records by dialing a generic number from a mobile and then keying in a PIN. But even this practice can be simplified if you leave your mobile lying around. Hackers (hired by reporters in the famous cases that saw British newspaper News of the World closed down following public outrage or even journalists themselves) have no scruples when it comes to doing their job. In order to prevent interference and hacking, remember to set an unlock password on your phone. Once you’ve done this, set a voicemail password. In most cases you should be able to do this manually, but if not contact your mobile network. On an iPhone, open Settings > Phone > Change Voicemail Password and make the change. In Android, use Apps > Settings > Call > Voicemail settings to change your voicemail password. Windows Phone users can open Settings > swipe left to Phone and tap Voicemail number to edit. On BlackBerry, use Options > Voicemail settings to configure a new password. When you set a new password for voicemail, make sure that it is secure. 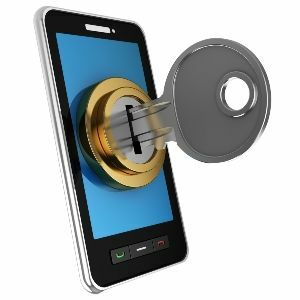 You shouldn’t need to memorize it as your phone will store the information, but you will need to ensure that your phone’s lock code is secure. As such, these should be avoided! Also you should think beyond birth years for yourself or those close to you. It’s a good tactic to set a password and ask a close friend if they can guess it. If they do, think again! The usual principles of setting a PIN should apply. Not only should it be hard to guess and apparently random, it should be unique to your phone. The tactics used by reports and private investigators in the phone hacking scandal were occasionally those used by phishing scammers – calling up people to gain personal information from which a password or PIN might be guessed. In light of this, maintaining completely different passwords for all of your various telephone and online accounts is vital, if slightly tricky to achieve. Additionally, you should change passwords regularly. 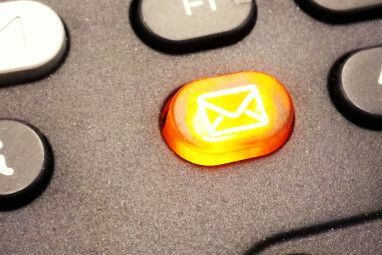 It is simple to change your voicemail PIN, but it is easily overlooked. The famous names whose personal lives have been exposed (over the past 20 years or so) prove that people trust devices in their possession far more than they should. Whether you’re an average Joe with a few dollars in the bank or the sister of a football player, you need to make sure that your phone voicemail is secure. Messages from banks, lovers, car dealers, retailers and hospitals can be used to the benefit of all manner of criminals, from unscrupulous journalists to the online mafia. Change your voicemail PIN, make it tough to break, and regularly alter it. 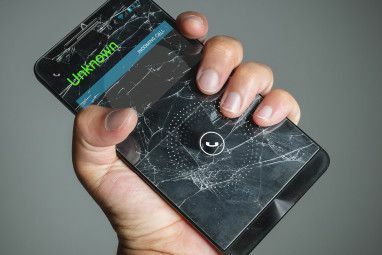 If there is any doubt about the strength and quality of your voicemail PIN and mobile phone lock code, you can be sure that someone else will be able to break it. 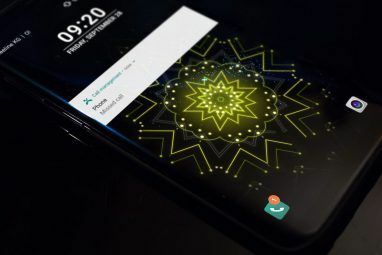 Use In Android, use Apps > Settings > Call > Voicemail settings to change your voicemail password, as described, and then Settings > Security > Screen lock to choose a PIN or other passphrase. still I don't really use my voicemail, in fact the message says, just text me. With all the news and info out there why do these things still happen? Let's face it, a 4 digit numerical PIN with only 10000 combinations is never going to be very secure. Aren't there any "decent" password utilities for phones that can improve on this? Thank you again Geeks.........................................password changed. Get things sorted !! :P !! Very well written and very informative. All mobile phone users should heed what is written here! So apparently there are 2 things to do to secure your phone. 1. Change your password to a more secure one of course. But the other step was not clear. The statement, "remember to set an unlock password on your phone." means exactly what? It means exactly that - set a password that is used when unlocking your phone. For instance when tapping the power button to come out of standby or screen lock, a password should be entered. I know with my phone (a Samsung Galaxy Exhibit), the voicemail doesn't have a password in settings, but it needs a pin while checking it. Interesting how much people carry around in their phones and not protecting them. Another point, you can set a voicemail PIN even if you don't have a smartphone. In fact, I think most (if not all) carriers make you set one the first time you setup for voicemail. You can change it by going through the voice-menus when you go to check your voicemail (usually by pressing and holding 1, but you should know how to access your voicemail).